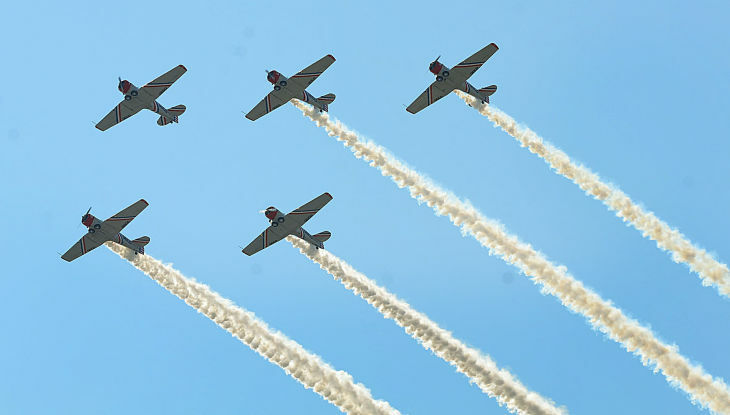 This Weekend: Find the air show closest to you on the Fencecheck calendar! Astronaut Stories: The World’s First Spaceplane - AirSpaceMag.com | Shuttle crews from the 1980s recall how their new vehicle took some getting used to. Suzi Perry Typhoon Flight | From Fast Cars to Fighters Jets -- Formula 1's Suzi Perry flies in an RAF Typhoon for the Royal International Air Tattoo. At home and abroad, the Typhoon Force stands ready, every minute of every day on Quick Reaction Alert in defence of UK citizens. 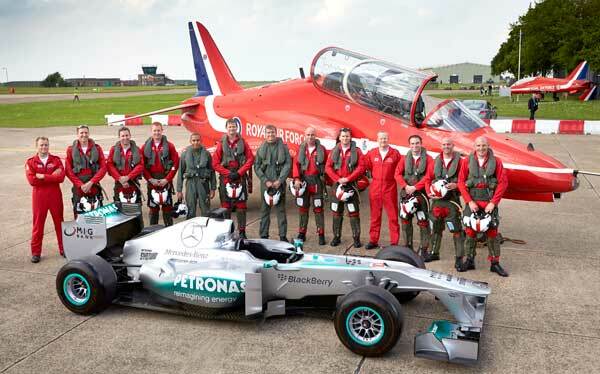 For the first time, see one aircraft from each of the fighter Squadrons together at RIAT, 20-21 July 13. 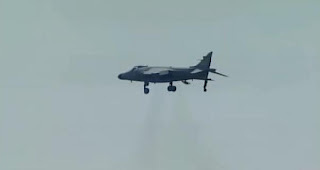 LiveAirShowTV: CONFIRMED: “Strega” to return to Reno Air Races with Matt Jackson flying it. Matt Jackson, an Unlimited class pilot with more than two decades of air racing experience at Reno confirmed to LiveAirShowTV on Thursday evening he will pilot “Strega,” the three-time defending Unlimited Gold champion raceplane. In 2012 at Reno, Jackson, an airplane mechanic at the family business, Pacific Continental Engines, qualified the Hawker Sea Fury “Furias” third fastest in the Unlimiteds. 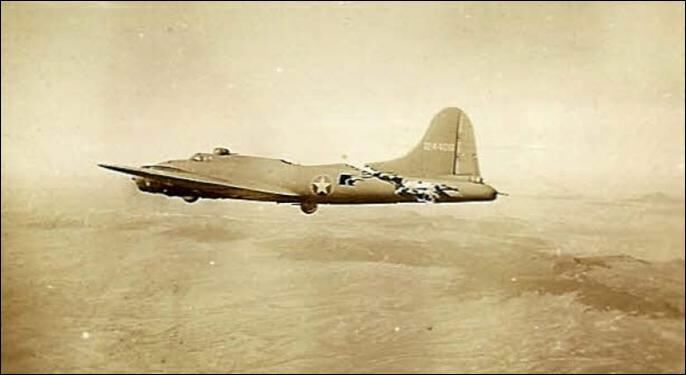 But a landing gear issue led to a hard landing that significantly damaged the airplane before it ever got to race. “I’ve been there from the birth of the event in 1964 and now I’ll be there for the 50th anniversary so that’s going to be a pretty awesome thing,” Jackson added. Jackson says he’ll start working on the plane shortly and will begin test flying Strega with a stock engine to become familiar with the cockpit layout and general characteristics of the plane. The plane’s race engine was dropped off Thursday at Mike Nixon’s Vintage V-12 for overhaul and race prep. Strega’s most recent champion pilot, Steven Hinton, will be flying a P-51 named “Voodoo” this year at Reno. 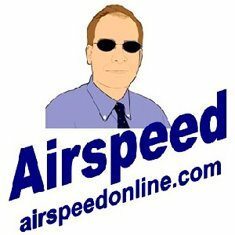 Webinar- Flying The U-2 Dragon Lady · eaavideo.org | USAF retired Major General Pat Halloran provides a brief history of the original U-2 program with information on both the CIA and the Air Force operations. Pat was one of the original pilots in the Air Force operation of the U-2. Timeless Voices - Brien Seeley · eaavideo.org | Brien Seeley is the President of the CAFE Foundation, a non-profit research organization with over 30 years of testing and evaluation of GA aircraft. 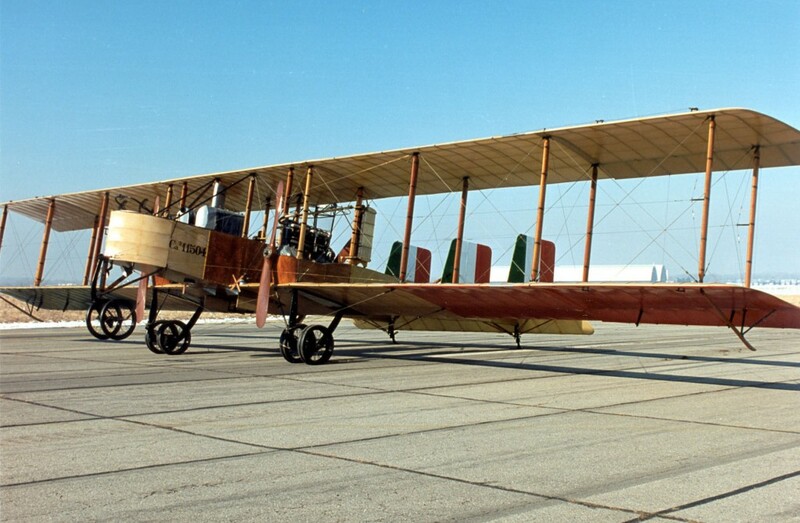 CAFE is an acronym for "Comparative Aircraft Flight Efficiency." Space Night, 'Jetman,' Military Heroes Highlight Theater in the Woods Lineup - Airventure.org | Chris Hadfield, the Canadian astronaut who became a YouTube sensation earlier this year with his "Space Oddity" music video from the International Space Station, will be among the 'Space Night' presenters on Tuesday evening, July 30, during the evening programs at EAA AirVenture 2013. 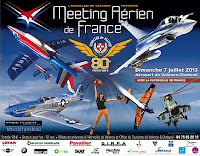 2013 Reno Air Races - Thom Richard and Precious Metal - LiveAirShowTV | Behind-the-scenes look at how "Precious Metal" is being rebuilt to win the Breitling Gold Unlimited Championship at the 2013 Reno Air Races. 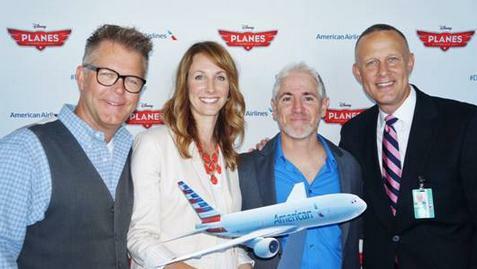 film’s release, the companies plan to roll out an integrated marketing effort, including collaborated advertising, promotions and inflight entertainment. 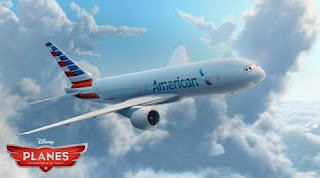 American will also feature an inflight version of the movie in October, one month earlier than other airlines, as part of American’s continuing effort to provide customers with the latest and most exclusive content. Balloonfest lifts off this week (with video) - Livingston Daily | There will be a display of aviation-related merchandise Saturday and Sunday at the Livingston County Spencer J. Hardy Airport in Howell Township, and the Yankee Air Museum's 1943 B-25 Yankee Warrior will be on site for viewing and photo opportunities. 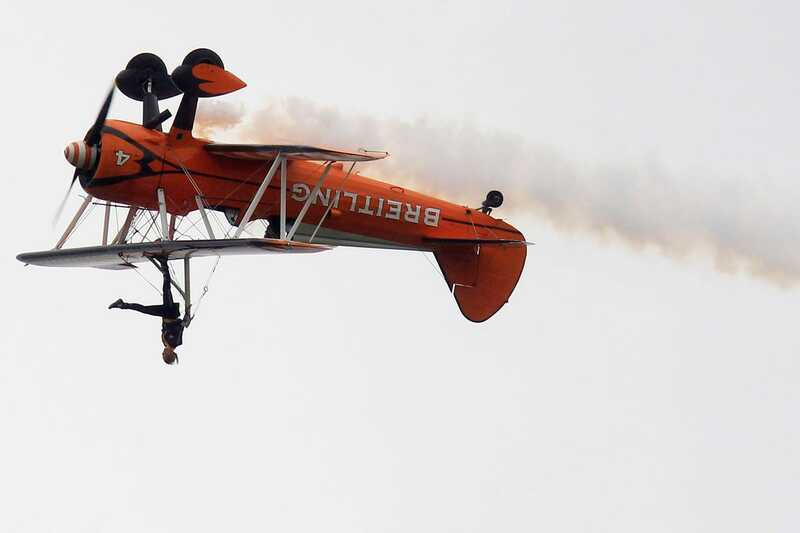 The 9 Air Shows You Should See This Summer - Popular Mechanics | Although sequestration has grounded some military aviation performances, air show fans have plenty to look forward to in 2013, including helos, hot-air balloons, vintage military planes, and more. Filming of The Restorers has been clipping along after re-starting this past March. This summer, however, we've taken it to a whole new level. 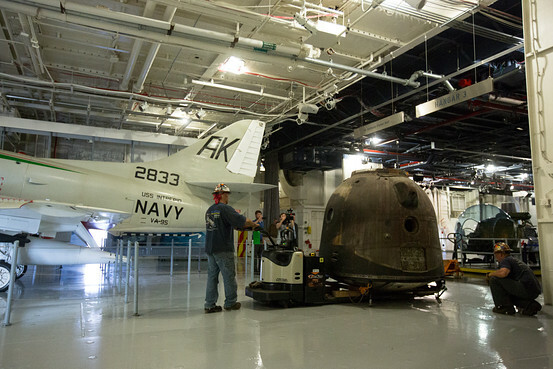 Our cameras have followed the SandBar Mitchell team to Alaska where they are attempting to recover a B-25 bomber. The project is filled with technical challenges, logistical difficulties and old-fashioned peril. Follow the complete mission on our web site or Facebook Page. With production of our series The Restorers resuming, our need for support is great....and we need it now. Contact us now to find out about investing in our show. 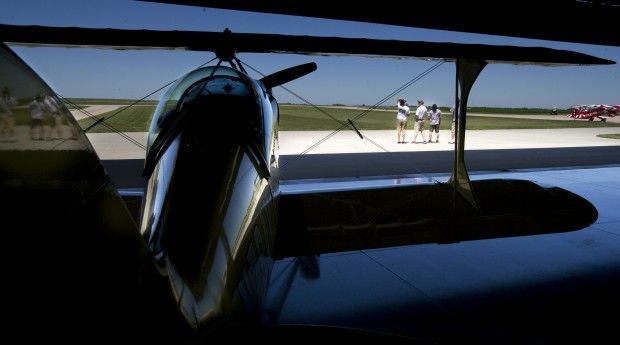 Help us change the face of aviation programming. Help us give history...a future. WWII-style Paratroopers depart their C-47 over the drop zone. 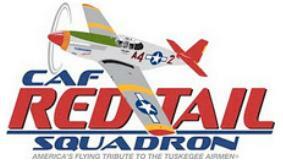 Cape Girardeau, MO (June 25, 2013) – The Commemorative Air Force (CAF) Red Tail Squadron’s RISE ABOVE Traveling Exhibit will be at the Cape Girardeau Regional Air Festival at the Cape Girardeau Regional Airport in Cape Girardeau, Missouri on June 27-29, 2013. 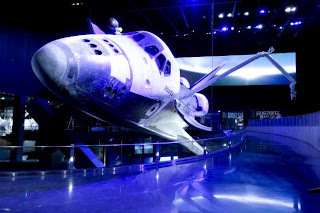 The public is welcome to experience the Exhibit for free with paid admission to the Air Show on Friday evening beginning at 5:00 p.m. and Saturday beginning at 10:00 a.m. The RISE ABOVE Traveling Exhibit is a truly unique opportunity for the young and the young-at-heart to not only learn, but experience the inspiring story of the Tuskegee Airmen while being immersed in a theatrical experience. In 1957, a small group of ex-service pilots pooled their money to purchase a P-51 Mustang, beginning what is now called the Commemorative Air Force (CAF). With the addition of a pair of F8F Bearcats, the CAF became the founders of the Warbird Movement, an effort to preserve and honor our military history with the rallying cry to “Keep ‘Em Flying!” Now, 55 years later, the CAF is the premier Warbird organization, operating 156 vintage aircraft in Honor of American Military Aviation. 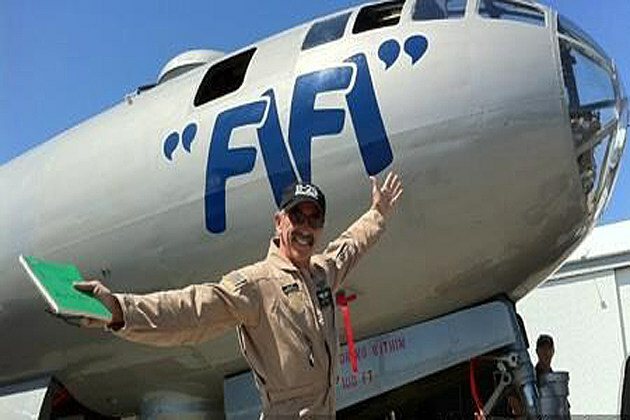 A non-profit educational association, the CAF has more than 10,000 members and itsfleet of historic aircraft is distributed to 80 units located in 24 states for care and operation. For more information, visit www.commemorativeairforce.org or call (432) 563-1000. Traverse City National Cherry Festival Kids Event Guide 2013 - MyNorth.com | Festival Air Show | Come down to the open space to thrill your children with the air stunts performed by Team AeroDynamix, Matt Younkin, Aeroshell, and Kevin Copeland.... | Night Air Show | If you’re up for a later night, visit the Festival Open Space in the cool night air and let the kids see the unique Night Air Show with planes outfitted in LED lights! 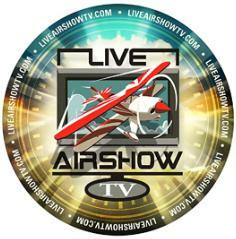 Team AeroDynamix, Matt Younkin, and Aeroshell will be performing their death-defying maneuvers. 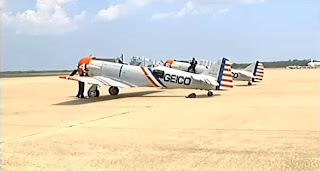 Take to the Skies Airfest Highlights! 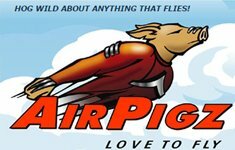 Able Flight: We're Making New Pilots Right Now!